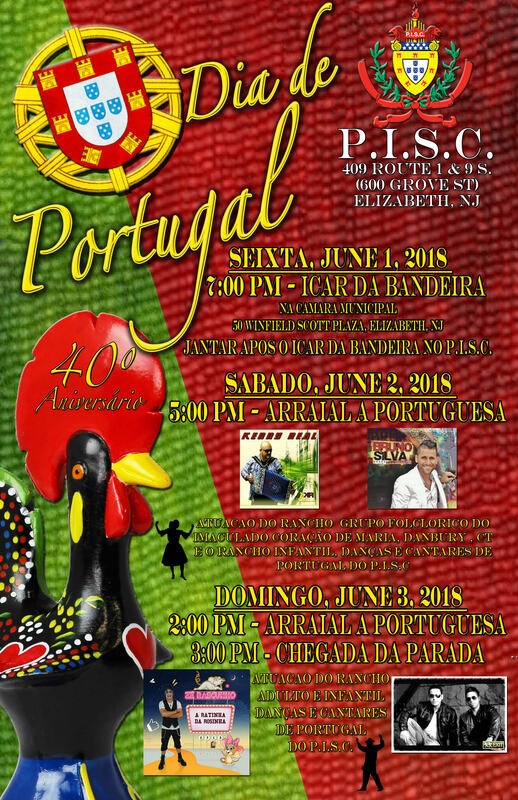 For the past 40 years in the City of Elizabeth, the first weekend in June brings Portuguese heritage and traditions to life with a long list of festivities including hosting one of the east coast's largest Portugal Day parades and out-door cultural festival. 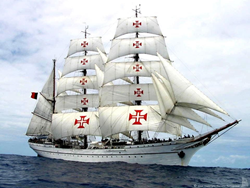 Folkloric dance groups, artistic performances, traditional gastronomy and now the Portuguese National Tall Ship “The Sagres” along with so much more make up this great weekend! Just off the beaten path, immerse yourself in authentic culture... experience Elizabeth's Portugal Day Festivities the first weekend in June! The 40th celebration of Elizabeth Portugal Day has an already weekend-long extensive program that includes multiple events expanded over three days. Hundreds of participants and spectators along with over 56 parade contingents and multiple organizations will come together from all across New Jersey. This years’ 40th Anniversary festivities has grown into a collaborative effort to bring for the first ever in the history of New Jersey, as an added tourist attraction with FREE tours open to the public, Portugal’s National Tall Ship: “The Sagres.” The Sagres main mast rises 42 m (138 ft) above the deck. She carries 22 sails totaling about 2,000 m2 (22,000 sq ft) and she has a sparred length of 89 m (292 ft), a width of 12 m (39 ft), a draught of 5.2 m (17 ft), and a displacement at full load of 1,755 long tons (1,966 short tons).This amazing ship is coming to the docks of Bayonne’s Cape Liberty Cruise Port with a quick one day stop into Manhattan, NY. This joint initiative would not be possible without the support of the leadership of the Portuguese Consul General Pedro Soares de Oliveira and the support of Elizabeth Destination Marketing Organization, Royal Caribbean’s Cape Liberty Cruise Port, and the Hudson County’s Tourism Office of Cultural and Heritage Affairs. FREE ADMISSION 2:00PM Parade starting location-Elizabeth Avenue at First Avenue, Elizabeth, NJ. 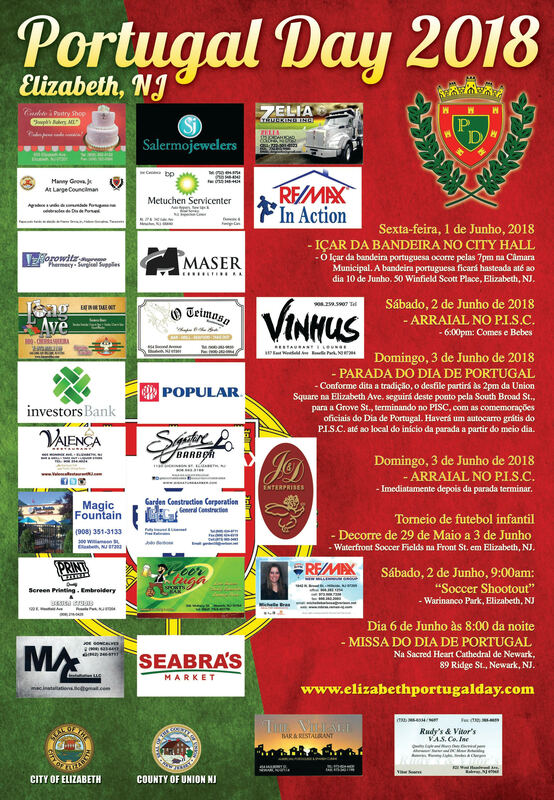 Portugal Day in Elizabeth began in 1978, uniting multiple Portuguese-American organizations across diverse sectors from sports and recreation to linguistics and arts. 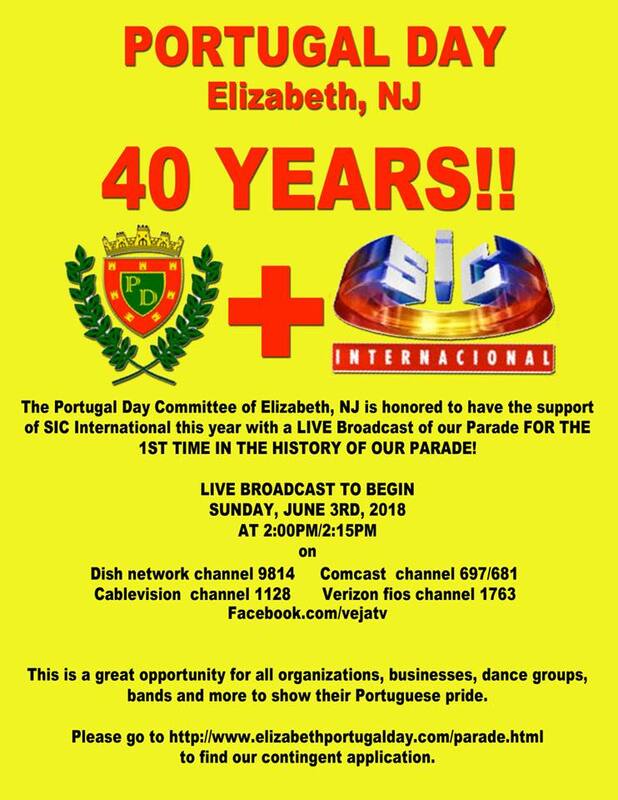 The Elizabeth Portugal Day Committee strives to maintain the Portuguese-American cultural ideals and customs through a celebration of its heritage and traditions. Its committee is comprised of each sector of the Portuguese community; organizations, clubs, non-profits and religious institutions come together to form a single group. Each organization has its own mission and progeny to maintain; however a collaborated ideology is created through the combined efforts of uniting a strong Portuguese Community. With its many outstanding cultural exciting events in town, Elizabeth is New Jersey’s newest destination, just minutes from NYC and Newark Liberty International Airport. Elizabeth’s rich authentic history draws tourists to its historic landmarks and sites as well as to its high-end outlet shopping mall The Mills at Jersey Gardens (0% tax on clothes and shoes) and its entertainment districts. Visit Elizabeth, New Jersey and be immersed in its authentic diverse culture. For hotel accommodations visit http://www.goelizabethnj.com/stay and for a full schedule of Elizabeth, NJ’s events and programs please visit http://www.goelizabethnj.com/events or download the mobile app goelizabethnj. To discover more and for a complete list of Elizabeth Portugal Day Festivities please visit http://www.goelizabethnj.com/portugalweekend.